Many people still tend to think of the automatic gearbox as a luxury item, although this hasn't been the case for a long time now. This technology is available with practically all sorts of models - but what can go wrong with it? Ferenc has been fixing cars for thirty years; he started working on automatic gearboxes fifteen years ago. You can imagine he has seen them all when it comes to transmissions - he was just lowering a double-clutch Ford C-Max from the jacks as I entered. No sooner was the Ford removed from the garage than the next patient – a new Audi A5 – came rolling in. 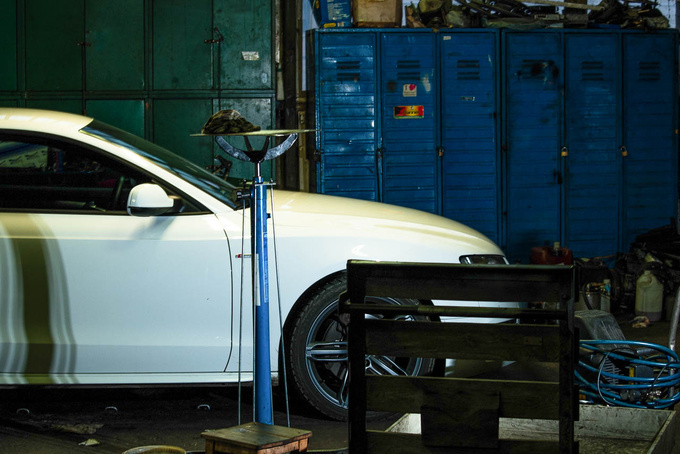 There was a sharp contrast between the pearl white Audi A5 and the dark workshop with greasy components lying around - turbines, converter housings, controllers and planetary gears wherever you look. Although our host specialises in all sorts of transmissions apart from manuals, I asked him to concentrate on traditional hydromechanical systems for now as they are still the easiest to come about. These automatic gearboxes are darn near failproof: with proper maintenance they are not likely to let you down. If they do it's usually the turbine that goes south. This is the main component of the hydrodynamic torque converter which may have a complicated name but is actually a rather simple device. Imagine two table top fans positioned opposing each other. You turn one on, and the blowing air will slowly begin to rotate the other, hitherto stationary fan. That's how torque converters work. Turbines look like a giant doughnut cut in half, and instead of air they are surrounded by oil. 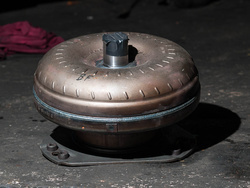 This torque converter is welded shut in the factory and hypothetically there is not much to go wrong here. However there is often an electro-hydraulically controlled clutch connecting the two turbine wheels. This is a proper mechanical clutch called lock-up. This clutch closes in certain conditions, allowing the engine to turn the planetary gear directly, thus reducing energy losses. But because the lock-up clutch is a regular dry clutch it can burn. Now, turbines are one thing Ferenc will not repair, for lack of tools, but he knows someone who does - costs are typically between €130-330. Their weld seams are typically better than what comes out of the factory. 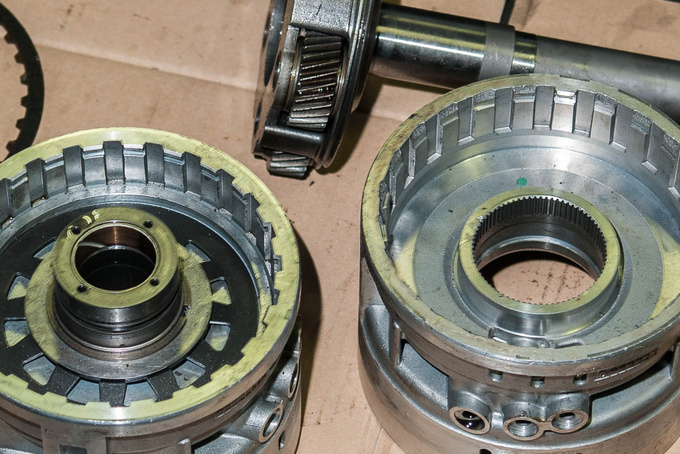 Automatic gearboxes are usually destroyed by their oblivious owners. When you drive a stick shift you have constant contact and feedback, and feel if the clutch is worn or the gear linkage needs replacing. However the sole physical contact between you and an automatic gearbox happens when you put the gear lever in Drive - or not even this much, as most modern gearboxes are now electronically governed. Ferenc has had a customer who had reported other issues but he pointed out to him that shifts were too jerky. He would later admit he was aware of the fact that something was not right but it was still below his threshold. That particular car was fixed in good time but once damage sets in repairs will easily cost you upward of €1500. A brand new turbine can cost as much as €1000. But despair not! These problems can be diagnosed early. Maybe the gearbox will no longer shift smoothly, or miss a gear, or rev the engine higher than usual. Vibrations occurring at low speed and partial loads are another tell-tale sign. Ferenc shows me a center support: a hollow cylinder with teeth; this is what allows your car to drive in reverse. This specimen is from a ZF 5HP19 gearbox. There are some missing teeth at the edge. 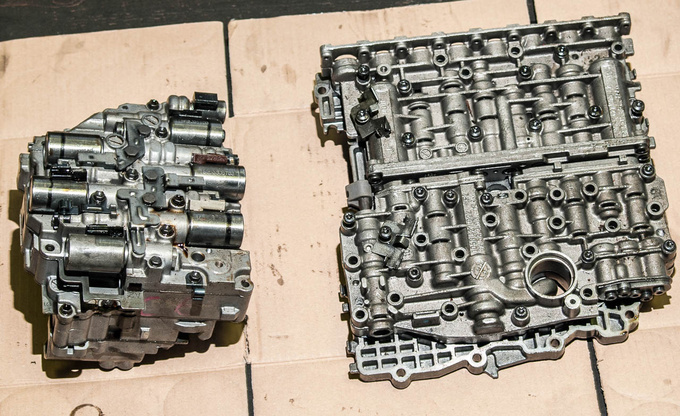 This gearbox was a regular in the BMW 3-series (E46) and chipped teeth are a common fault. Even Ferenc does not know the cause, it is possibly fatigue in the material. Once this happens the car is rendered stationary although the gearbox itself sustains no damage. The part itself costs about €140 but it's better to replace both gaskets and clutch plates along with it. Another typical fault is the burning of the planetary gear clutch plates. These clutch plates brake different parts of the planetary gear, essentially creating the gears. Ferenc has a good dozen of these lying around in his workshop - some are just slightly discoloured, others are burnt solid black. This burning could be caused by the electrohydraulic control or by a failure of the pressure modulating valves. It is imperative that you observe oil change intervals because when you are running on old ATF as little as a sharper acceleration can cause a world of troubles. 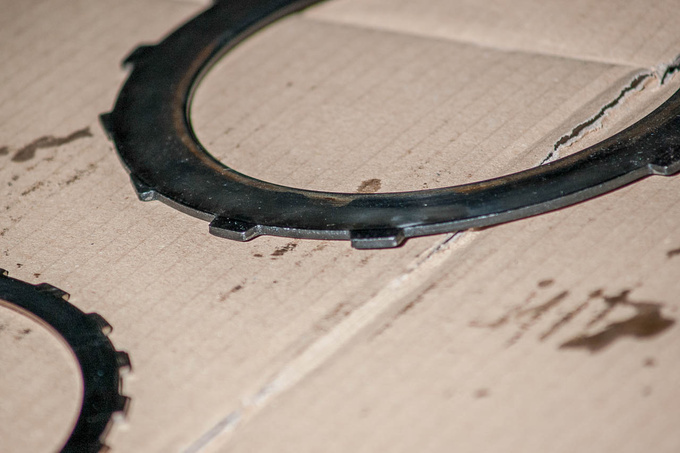 Worn ATF will not be able to close those clutch plates fast enough, allowing them to slip. This is where we can help our A/T survive: you must invariably adhere to all prescribed servicing intervals. Many mechanics still subscribe to the old view that these gearboxes need no oil change but newer constructions seem to contradict that truth. Most manufacturers prescribe the change of ATF, filter and gaskets every 100K km, but Mercedes-Benz sets a stricter limit at 60,000 km. Ferenc has some recently purged ATF in his workshop. 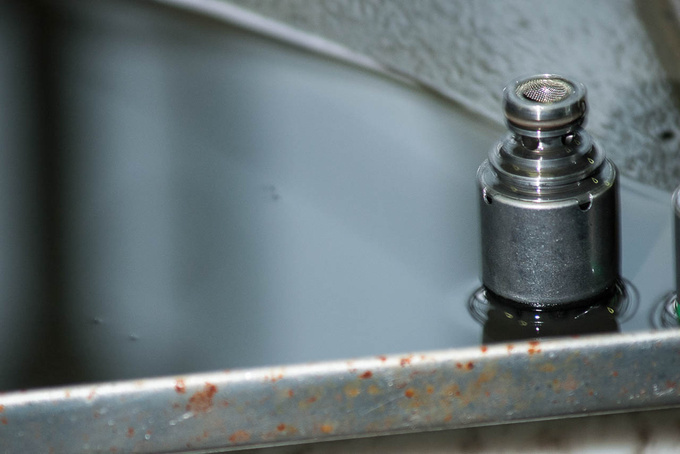 Once thin, the fluid now looks like some kind of thick sludge because of all the metallic particles deposited in it. I was also curious to know if the nostalgic commonplace of everything used to be better/stronger/sturdier in the days of yore also applied to automatic gearboxes. Quite the contrary, he said: modern A/T units are far better than older ones, both as regards comfort and torque capacity. It boils down to gearbox control: while lamellas used to be opened and closed by means of a flyweight mechanism, they are now governed by an electrohydraulic system. To illustrate his words he pulled out a faulty control module of a modern ZF 6HP26 gearbox. 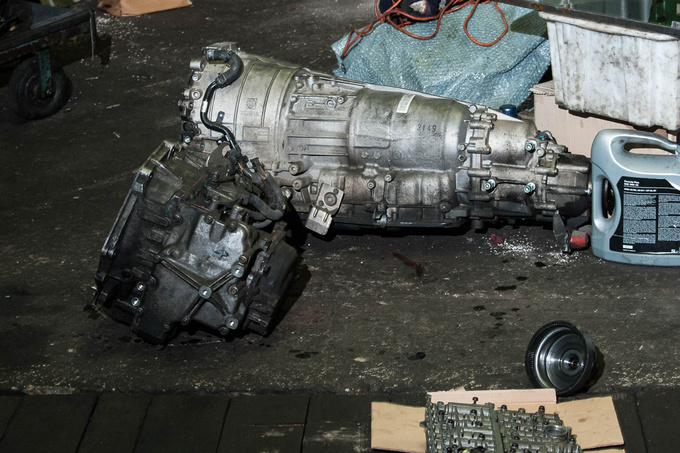 This particular gearbox came from an Audi A8 but it is also installed in BMW's. There are pistons moving up and down in the fist-sized chunk of metal, regulating the path of oil. However these pistons have a tendency to wear. It's hard to say exactly when that happens, it depends on the engine, on other drivetrain components but also on your driving style. Once broken it is quite costly to repair, with prices starting at around €670. There are usually no issues with control electronics (with emphasis on 'usually'), it's mostly valves that malfunction. 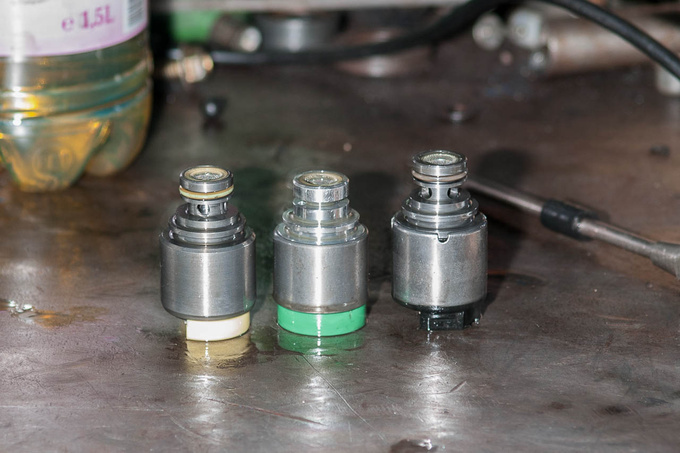 These valves connect to the control unit laterally - the black one is a modulating valve controlling overall system pressure, while the green one is a switch valve taking care of gearshifts. Ferenc would be hard pressed to say which is the sturdiest of all gearboxes. There are too many variables. This ZF, for instance, comes from an Audi. Although it had to put up with over 300 PS it is known to run 400,000 km with proper maintenance. The smaller Aisin lying next to it has less stellar reputation. Typically installed in French cars, Ferenc has seen them need their control unit replaced after only 120K km. Both of these examples are rather extreme, though, and they do not mean that people should shun A/T Peugeot models or that Audis are indestructible. One thing is certain: proper maintenance can multiply the service life of an automatic gearbox as well as upgrade driving comfort. Even though I have just listed a plethora of potential issues I would in no way like to discourage anyone from buying automatic. 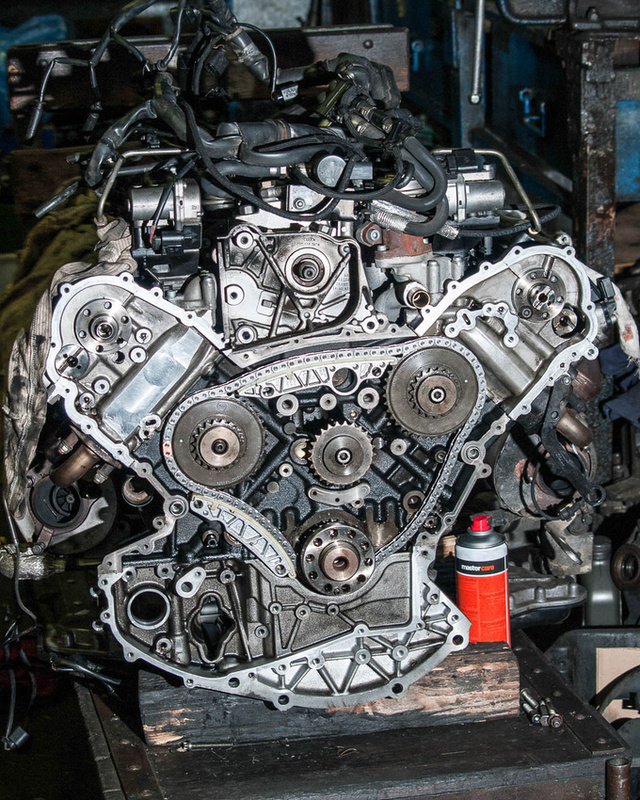 Don't forget that mechanics only see malfunctioning gearboxes, and their numbers are very few compared to the vast majority that operate flawlessly over several hundreds of thousands of kilometres. If prescribed servicing intervals are observed they can run as much as a regular manual gearbox before overhaul is needed, possibly more. There are no secrets or tricks to learn, you just need to keep an eye out for irregularities. If any aspect of their operation seems different from what you are used to, call a professional immediately. Faults diagnosed in good time can be fixed for a fraction of the cost. As Ferenc escorts me out he shows me a Getrag gearbox. It comes from a Mercedes-Benz, and although it is an old construction dating back to the 1990's AMG still installs these in their V12 monsters. Although they now have seven- or even nine-speed gearboxes, nothing else can sustain 1000 Nm of torque in the long run. It would have been interesting to see its internals but alas it was intact. 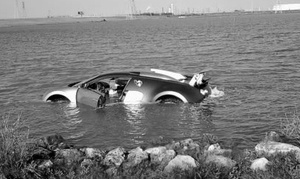 It’s 20 years in prison instead of big cash for Andy House who drove his $1 million Bugatti into salt water five years ago for the insurance money.